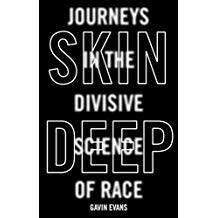 Andrew Lownie Literary Agency :: Book :: Skin Deep: Journeys in the Divisive Science of Race. Skin Deep: Journeys in the Divisive Science of Race. Skin Deep digs beneath the surface of race science, which is experiencing a revival with the rise of the alt-right, particularly in the United States. It examines new discoveries in archaeology, genetics and IQ studies that show decisively that there are no innate differences between population groups when it comes to intelligence or character. Everything you need to know about race (but were afraid to ask). There was no 'cognitive revolution' 70,000 years ago as claimed by Yuval Noah Harari – nor 50,000 years ago as claimed by Jared Diamon. Recent archaeological discoveries show that modern intelligence evolved tens of thousands of years earlier. We had the genes for light skin before we moved out of Africa 60,000 years ago. It was Russian farmers that brought light skin to Europe and India, and blue eyes came from a separate population. The early Europeans, including the builders of Stonehenge, had dark skin, black, curly hair and blue eyes. The Kenyans don't have a 'running gene' - but sub-Saharan Africans are more genetically diverse than Europeans. So they have a higher proportion of top-level runners and of terrible runners! Nature and nurture can’t be parcelled up in terms of percentages. They inter-relate. The ‘general intelligence’ measured as a single number by IQ tests does not exist as a biological reality. Dominic Cummings helped end the government's Sure Start programme based on a misunderstanding of IQ theory. Jordan Peterson's reading on IQ 'is very limited and very dated' – prompting him to reach the wrong conclusions on race and intelligene..
Steven Pinker and Jordan Peterson are wrong in claiming Ashkenazi Jews have innately superior intelligence – none of the biological arguments stack up. "Smart, accessible and stimulating, Black Brain White Brain is by far the most important book yet written to systematically debunk society’s lingering attachments to race science and its pet topics of intelligence, genetics and civilization. This book is at once a work of serious scholarship as well as an easy-to-read educational reference book on the major controversies spanning a century of provocations on the subject of race and capability. In our still race-obsessed country, Black Brain White Brain should be required reading in every undergraduate university course, in every high school and in every home. " "Punchy and perceptive, Evans’ passionate and wide-ranging debunking of hereditarian views of race in areas ranging from archaeology to IQ and sport deserves wide readership in South Africa and beyond." 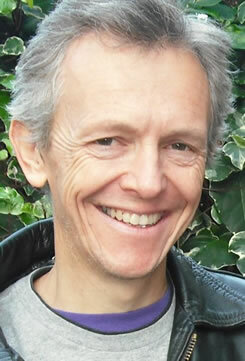 "GAVIN Evans studied economic history and law, has a PhD in politics and has worked as a journalist for 25 years. He has read widely on evolutionary biology, palaeontology, biological anthropology, archaeology, neuroscience and evolutionary psychology. He needed all this for his latest book, Black Brain White Brain. It plunges deep into the world of racist science and demolishes its myths quickly and smartly." "Evans debunks racist science and centuries-old beliefs that Africans are predisposed to being less intelligent than their European counterparts." "In Black Brain, White Brain, Evans lays out the reasons he believes science does not support the idea that intelligence is determined by race, with an impressive list of scientific references and interviews to back up his rationale." "Ripping apart theories about the link between race and intelligence Evans is able to decipher fact from fiction and illustrate how history has shaped perceptions of race." "The title of Gavin Evans’ new work, Black Brain, White Brain: Is intelligence skin deep? is seemingly problematic. Surely we know the answer to that question? Evidently not. Spend a few moments with this valuable and indeed welcome work and it becomes quite clear there are a lot of supposedly learned folk out there who, frankly, should know better. " "Over the course of 300 well-written and accessible pages [this book] answers its own subtitle in the negative. Intelligence is definitely not a matter of skin tone, hair texture or any of the other phenotypical features used to classify human beings into race groups." "Ripping apart theories about the link between race and intelligence, Evans is able to decipher fact from fiction and illustrate how history has shaped perceptions of races. The years of thinking about race and racism have paid off through this book, in which he skilfully pulls apart scientific rhetoric and discredits historical allegations about the diminutive intelligence of “inferior” races." "In Black Brain, White Brain: Is intelligence skin deep? Evans evaluates mountains of research by both racist scientists and the mainstream researchers who have debunked the myths, in an accessible and engaging way. The book is methodical and meticulous (there are 14 pages worth of footnotes and citations) in its explanations but still reads easily. … As someone who is not a fan of the non-fiction genre, I found this a fascinating read." "I am quite a fan of Gavin Evans’s and have always followed his writing – since the late 1980s. He writes very well. Here he’s given an overview of all the research on race of the last few years and I think he’s done a very good job. He’s taken complex ideas and put them in very clear language, which is very accessible and easy to read - and it’s a compelling narrative. I hope that many South Africans across the racial spectrum will read this book." Gavin Evans, author of Black Brain, White Brain, has written a powerful piece for German newspaper Die Zeit on the return of race ‘science’. Gavin Evans, author of Black Brain, White Brain, has written a powerful piece for the Guardian on The Unwelcome Revival of ‘Race Science’. Gavin Evans’ book on the myths surrounding intelligence and race Black Brain, White Brain has been nominated for a Media24 award. Gavin Evans’ fascinating new book Black Brain, White Brain has had yet another good review, this time on South Africa’s national radio station, Radio 702.